Eduard Berzin was born in Latvia in 1894. As a young man he studied art in Berlin where he met his wife, Elza Mittenberg. In 1915 he joined the Russian Army and fought on the Eastern Front during the First World War. After the Russian Revolution he joined the Bolsheviks and in 1918 he became a commander of the First Artillery Division of the Red Latvian Riflemen, that protected the Kremlin. He became friends with Felix Dzerzhinsky, the head of Cheka, and agreed to become involved in a conspiracy to infiltrate a MI6 unit based in Petrograd. Jan Buikis, a Soviet agent, made contact with Francis Cromie, the naval attaché at the British Embassy, and requested a meeting with Robert Bruce Lockhart the Head of Special Mission to the Soviet Government with the rank of acting British Consul-General in Moscow. On 14th August, 1918, Buikis and Colonel Berzin, met Lockhart. Berzin told Lockhart that there was serious disaffection among the Lettish troops and asked for money to finance an anti-Bolshevik coup. Lockhart, who described Berzin as "a tall powerfully-built man with clear-cut features and hard steely eyes" was impressed by Berzen. He told Lockhart that he was a senior commander of the Lettish (Latvian) regiments that had been protecting the Bolshevik Government ever since the revolution. Berzin insisted that these regiments had proved indispensable to Lenin, saving his regime from several attempted coups d'état. Lockhart claimed that initially he was suspicious of Berzin but was convinced by a letter that had been sent by Cromie: "Always on my guard against agents provocateurs, I scrutinized the letter carefully. It was unmistakably from Cromie. The handwriting was his... The letter closed with a recommendation of Berzin as a man who might be able to render us some service." Lockhart also believed Berzin's claim that the Lativan regiments had lost all enthusiasm for protecting the Revolutionary Government and wanted to return to Latvia. On 17th August, 1918, Moisei Uritsky, the Commissar for Internal Affairs in the Northern Region, was assassinated by Leonid Kannegisser, a young military cadet. Anatoly Lunacharsky commented: "They killed him. They struck us a truly well-aimed blow. They picked out one of the most gifted and powerful of their enemies, one of the most gifted and powerful champions of the working class." The Soviet press published allegations that Uritsky had been killed because he was unravelling "the threads of an English conspiracy in Petrograd". 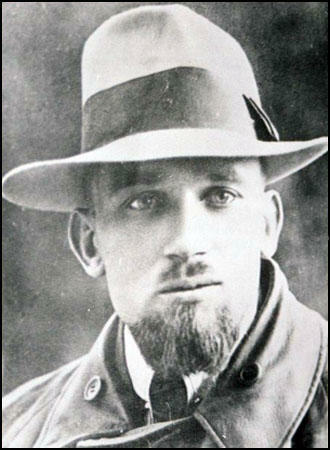 Despite these claims, Robert Bruce Lockhart continued with his plans to overthrow the Bolshevik government. He had a meeting with a senior intelligence agent based in the French Embassy. He was convinced that Berzin was genuine in his desire to overthrow the Bolsheviks and was willing to put up some of the money needed: "The Letts are Bolshevik servants because they have no other resort. They are foreign hirelings. Foreign hirelings serve for money. They are at the disposal of the highest bidder." George Alexander Hill, another agent based in Petrograd, also believed Berzin was telling the truth and were in the ideal position to overthrow the Bolshevik government: "The Letts were the corner stone and foundation of the Soviet government. They guarded the Kremlin, gold stock and the munitions." Sidney Reilly and Ernest Boyce were brought into the conspiracy. Over the next week Hill, Reilly and Boyce were having regular meetings with Berzin, where they planned the overthrow of the Bolsheviks. During this period they handed over 1,200,000 rubles. Some of this money came from the American and French governments. Unknown to MI6 this money was immediately handed over to Felix Dzerzhinsky. So also were the details of the British conspiracy. Berzin told the agents that his troops had been to assigned to guard the theatre where the Soviet Central Executive Committee was to met. A plan was devised to arrest Lenin and Leon Trotsky at the meeting was to take place on 28th August, 1918. 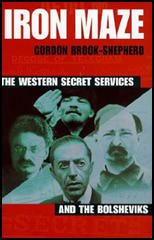 Robin Bruce Lockhart, the author of Reilly: Ace of Spies (1992) has argued: "Reilly's grand plan was to arrest all the Red leaders in one swoop on August 28th when a meeting of the Soviet Central Executive Committee was due to be held. Rather than execute them, Reilly intended to de-bag the Bolshevik hierarchy and with Lenin and Trotsky in front, to march them through the streets of Moscow bereft of trousers and underpants, shirt-tails flying in the breeze. They would then be imprisoned. Reilly maintained that it was better to destroy their power by ridicule than to make martyrs of the Bolshevik leaders by shooting them." Ernest Boyce and Robert Bruce Lockhart were both arrested but Sidney Reilly had a lucky escape. He arranged to meet Cromie that morning. He arrived at the British Embassy soon after Cromie had been killed: "The Embassy door had been battered off its hinges. The Embassy flag had been torn down. The Embassy had been carried by storm." Reilly now went into hiding and eventually managed to get back to London. 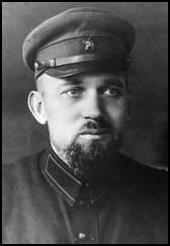 Berzin was rewarded for his part in the conspiracy by being appointed to a senior position in Cheka. In 1926, Joseph Stalin gave Berzin the task of setting up the Vishera complex of labour camps in the Urals known as Vishlag where cellulose and paper were to be produced. Berzin was considered to be a good manager and according to Anne Applebaum, the author of Gulag: A History (2003), the inmates received wages and had their own cinemas, libraries and discussion clubs. In 1931 Stalin appointed Berzin as head of Dalstroy (Far North Construction Trust). Dalstroy created several Gulag Camps across the region now known as Kolyma. Run by the NKVD, the political prisoners were involved in road construction and the mining of gold. Robert Conquest, the author of Kolyma: The Arctic Death Camps (1978) has argued that Berzin's primary aim was to exploit the region in line with the objectives of Stalin's Five Year Plan. A hard winter in 1932-1933 led to the deaths of large numbers of workers. It was said that conditions improved after 1934 and Berzin was considered one of the more humane of the Gulag administrators. In December 1937 Eduard Berzin was arrested and accused of spying for Britain and Germany. After being tortured for several months he was executed at Lubyanka Prison on 1st August 1938. Reilly's grand plan was to arrest all the Red leaders in one swoop on August 28th when a meeting of the Soviet Central Executive Committee was due to be held. Rather than execute them, Reilly intended to de-bag the Bolshevik hierarchy and with Lenin and Trotsky in front, to march them through the streets of Moscow bereft of trousers and underpants, shirt-tails flying in the breeze. They would then be imprisoned. Reilly maintained that it was better to destroy their power by ridicule than to make martyrs of the Bolshevik leaders by shooting them."